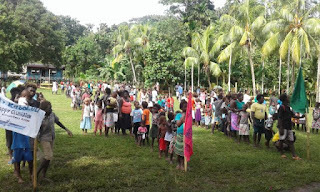 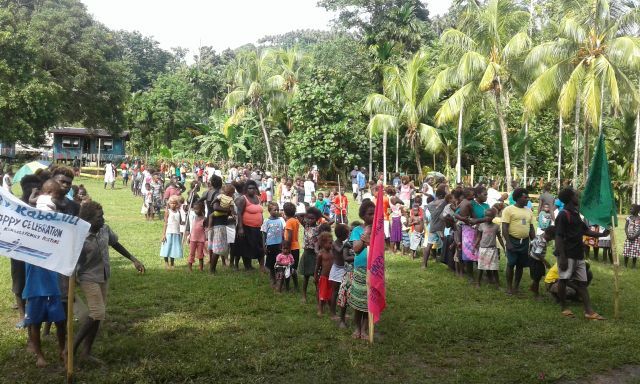 About five hundred witnessed the official handover ceremony of the 2017 Christmas and New Year program at Kongu village Ranoggah Island, Western Province. 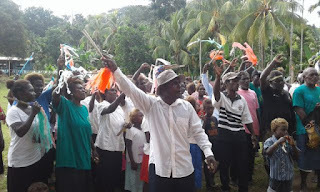 The two-week program which was commenced on the 26th December 2016 continued to gather relatives and friends around the country. The celebration hosted by Aaron Kumana's family really put the celebration in style. 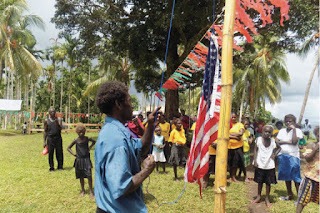 Kumana's youngest son, John F Kennedy rose the USA flag given by captain Ed Rhoades as his gift to Kumana. 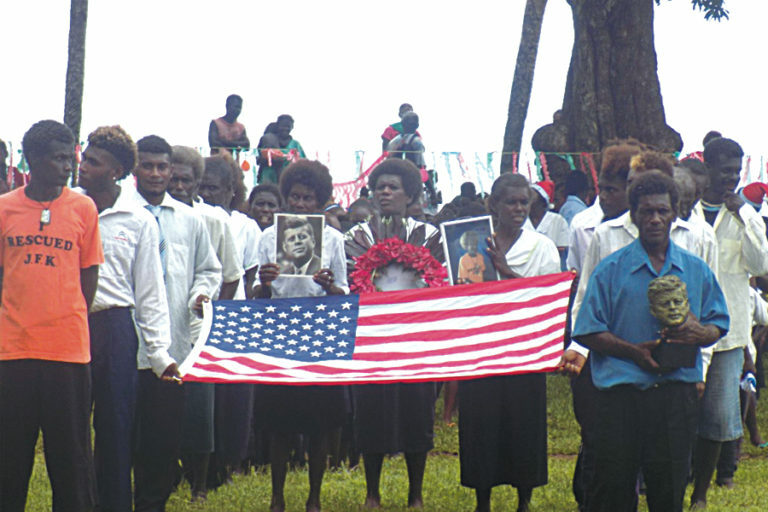 Along with the flag Kumana's family also displayed the head-statue of the 35th president of the United States, John F Kennedy, and pictures to honor their father, grandfather, great-great grandfather late Aron Kumana who helped resuce J F Kennedy. 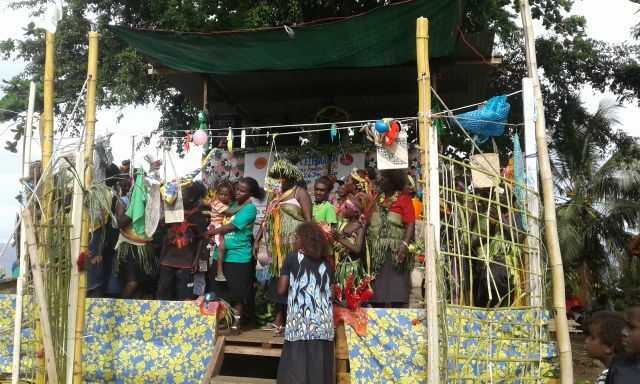 The theme "We Were Born To Create Good Things" keeps reminding the community to continue to enjoy the 2 weeks of activities provided by Kumana's family. During the handover ceremony the 2016 host family, relatives and friends escorted the 2017 host family -- the family of Solomon Tekelu -- to a landing craft where items like local foods, handcrafts, roasted pig, processing etc were displayed, symbolizing their happiness by accepting the next host family for 2017. 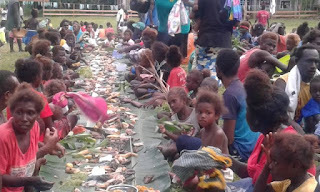 Next was the feasting, and the prize given for the winning groups for 2016, with a church leader and speeches encouraging each other.